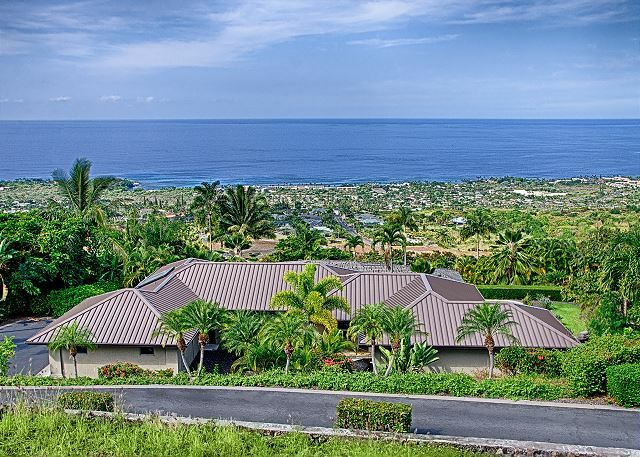 Modern Hawaiian island style single level home located in a small private subdivision offers stunning panoramic ocean and sunset views providing for ultimate tranquility. 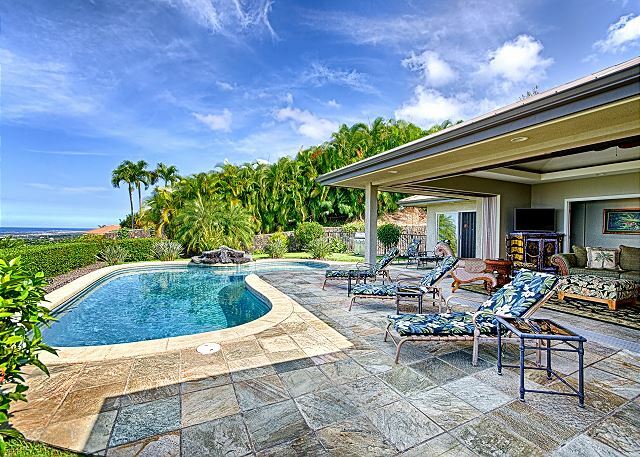 Beautifully furnished in traditional Hawaiian island style décor, this incredible home is sure to deliver the relaxing vacation we all dream about. 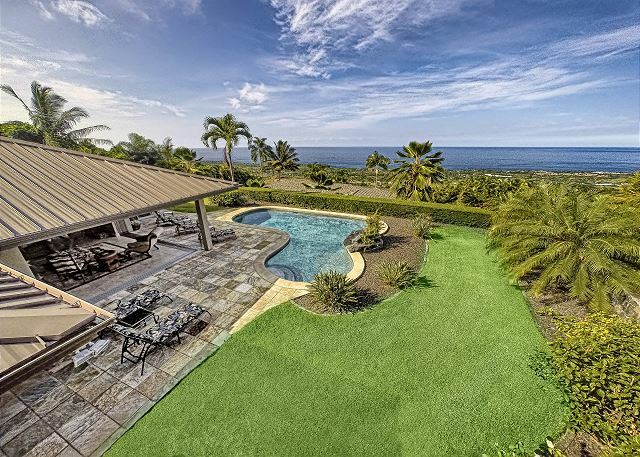 The living room has 2 walls that have disappearing pocket doors allowing you to make the yard part of the living room, providing for the ultimate Big Island living experience. With a chef-worthy fully equipped kitchen you can prepare scrumptious delicacies while others relax in the secluded yard with the solar heated pool and waterfall. Our Hale Aikáne (House of Hospitality to Family and Friends as one) property has the full package. With its convenient location just a couple miles from Kahalu’u Beach State Park (famous for its encounters with green Hawaiian sea turtles) makes it the perfect home base to explore the many wonders of the Big Island including Volcano National Park, Mauna Kea Observatory, coffee and macadamia nut farms, artist communities, and more! This property is amazing. 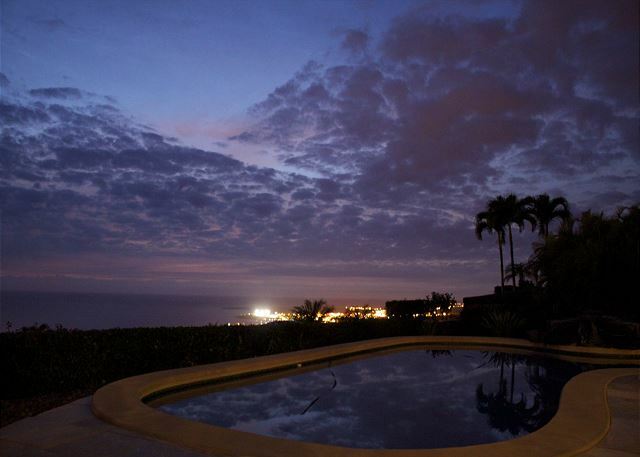 The most beautiful property with an incredible ocean view, pool and incredible sun sets. The property is spotless, beautifully furnished and equipped with everything needed for a wonderful vacation. I have stayed in a number of properties but this one is second to none. This property was perfect in every way. Mahalo Nui Loa for your 5 star review of your experience at Hale Aikane. We are overjoyed to hear you had a beautiful stay and found the home to be perfect in every way! We hope to see you again and please do contact our attentive property manager for our coveted repeat visitor rates. We are not shy about pointing out the pros and cons of places we stay, but for this place we have only pros! Everything was amazing! The house is great, modern and clean, the view is absolutely fantastic! The only downside might be the price, but for us it was definitely worth it. 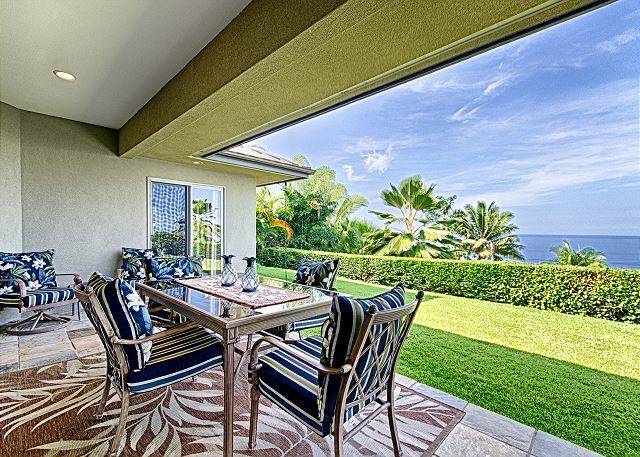 Mahalo nui loa, for your gratifying appraisal of this beautiful home where we lavish many special efforts. We very much hope you return, and please do contact our attentive property manager, Boundless Hawaii, for our coveted repeat visitor rates which are the best you can access. Near perfect. Loved the house and the location! A most interesting time to be on Hawaii. Have to say, but one day, would not have been aware of the volcano. We had a fabulous time. Lovely home. Would stay again. Victoria we thank you for your review and we're happy to hear that despite the volcanic activity you enjoyed your stay! This home exceeded our expectations in every way. It was well decorated, clean, and very comfortable. We will definitely stay there again. We're elated to hear you enjoyed your stay at the beautiful Hale Aikane. We thank you for the 5 star review and would love to see you return! We spent a week here in feb. the views were amazing, beautiful sunsets. The house was well equipped with everything needed to make meals,and drinks. Loved the open air living. 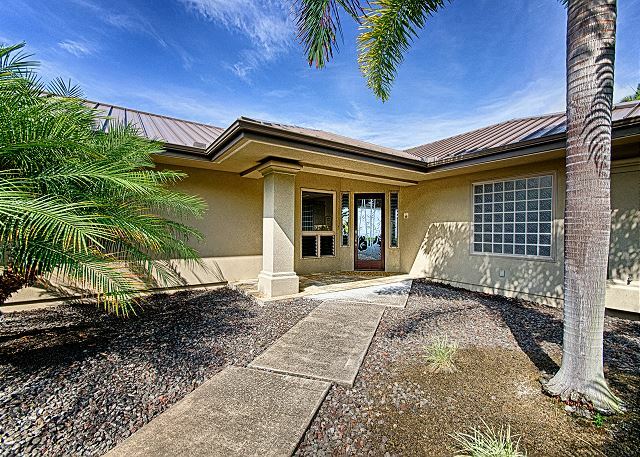 Beautiful house in a quiet location that is close to kona and beaches. The kids really enjoyed the pool as well an nice way to spend the afternoon and relax. Mahalo Allison! We are so happy to hear your family enjoyed the stay with us! We encourage you to return and take advantage of the returning client discount. Another great stay at Hale Aikane! This was our 4th stay at Hale Aikane and we love everything about it - quality, location, amenities. Aloha Sanders! Thank you for yet another 5 star review! We will see you again next year! This is my absolute favorite house! It is beautiful both inside and out. I love the open air with the doors that open. The pool is awesome. The kitchen is beautiful and we'll stocked with every tool you might want. The beds are super comfortable. The view of the ocean is fantastic. There is no air conditioning, but with all the fans and ability for air flow, we never needed it! We thank you for taking the time to write such a heartfelt review of the home! We hope you'll return some day soon! Thank you for taking the time to review the home! We'll see you again next year! A beautiful, well kept home in a glorious location. 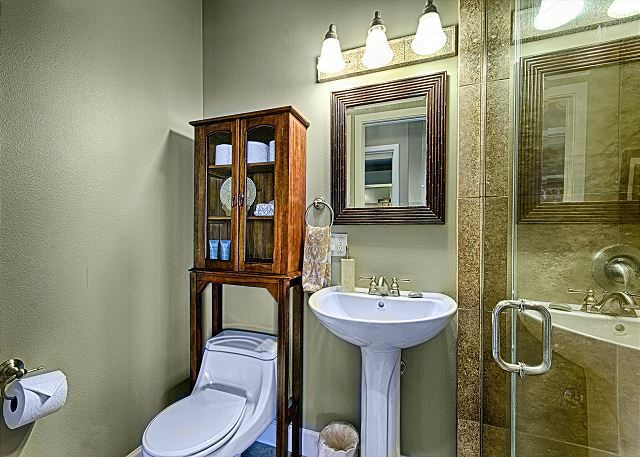 Wonderful stay, easy to live in house with all the amenities. Boundless was an excellent company to deal with. We will do this again. Curtis, I can't tell you how much it means to hear such kind words! It truly leaves an impression! We hope you will return and take advantage of the returning client discount. What a perfect stay in Kona with true indoor outdoor living - exactly what we were looking for. The house is very spacious and well equipped. Easy to reach and great views over the ocean. My boyfriend and I traveled to Kona to compete in the Ironman World Championships. Another couple and my coach also stayed at the home. It was perfect! 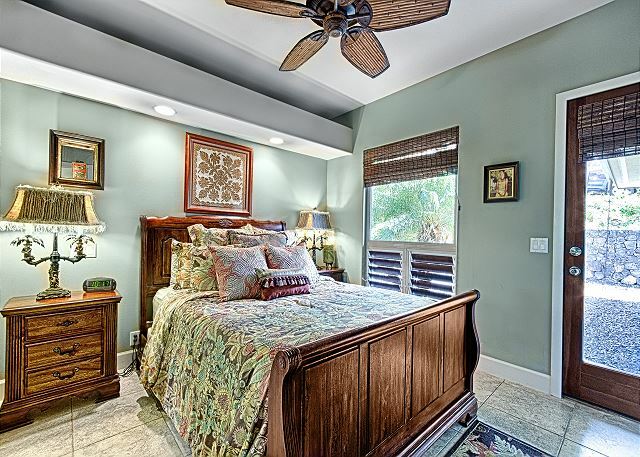 The master bedroom and en suite were separated from the other two bedrooms, which allowed me to rest when necessary. 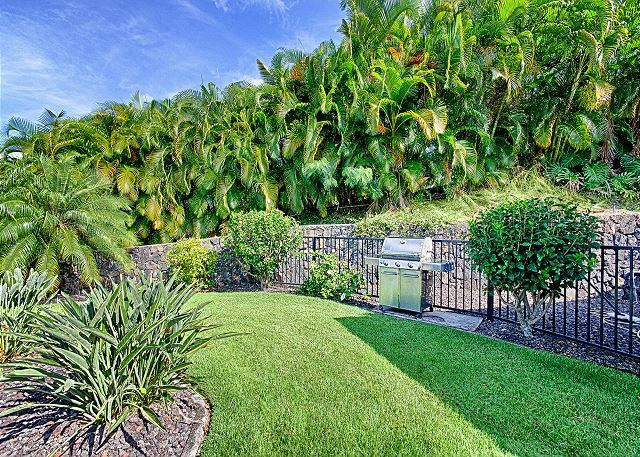 The home is beautifully appointed with great outdoor spaces for grilling, relaxing and dining. Mahalo for your wonderful review! Congratulations on a successful Ironman completion! We hope that you will come visit again and enjoy some relaxation next time you return to Kona. As a returning guest you will be eligible for a 10% discount on your next visit. 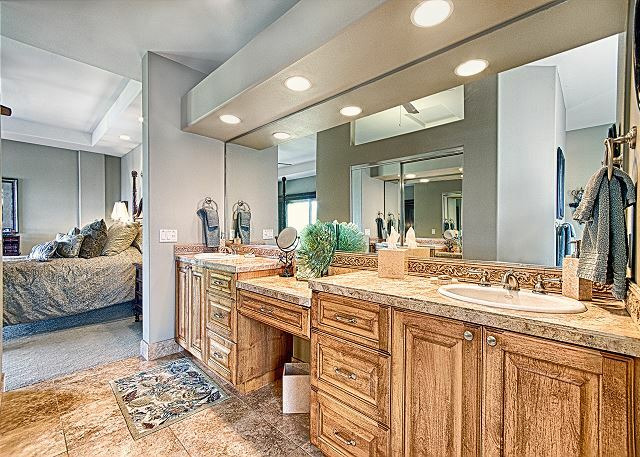 A beautiful home, with gorgeous views and a large heated pool. Very large rooms. No AC but we didnt miss it in August because the home is well ventiliated and cools off at night since it is up the hill. Just a fabulous time and would definitley go back. Very quiet and private yard. Aloha! We are so happy that you enjoyed this beautiful home. 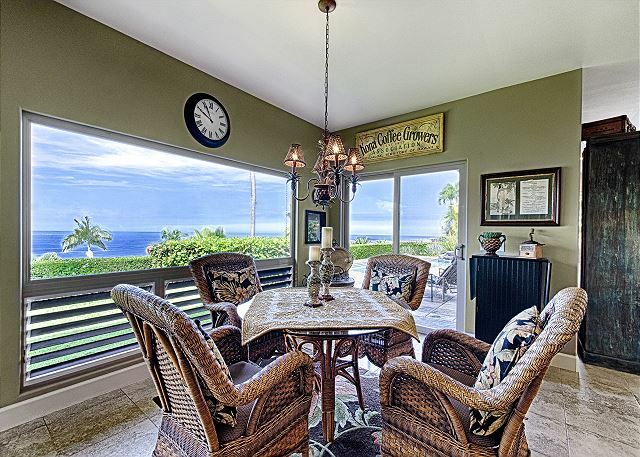 The views are phenomenal and the open-concept living room allows for the home to open up to the cool ocean breezes. We are happy that you were able to stay comfortable and find some relaxation time at Hale Aikane. We would be happy to host you for your next visit. Remember, returning guests receive 10% off of their reservations booked through Boundless Hawaii! My family just spent a wonderful 3 days on the Koan coast. This house was a great base of operations and pleasure to come home to. Aloha and thank you for your review. We are happy that you enjoyed your visit. We would be happy to host you for your next visit to Kona. Remember, returning guests are eligible for 10% off! We had a great week at this house. It is so pleasantly decorated and easy to stall inn. Aloha and thank you for your review. Please let us know when you return to Kona and we would be happy to host you for another visit. Remember, returning guests receive a 10% discount on any of our rentals. Mahalo and we look forward to hearing from you soon! The ideal location for a fun family vacation. 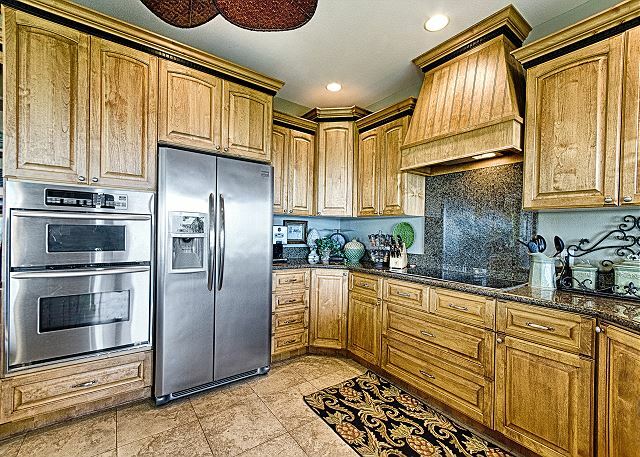 The home was clean, spacious and filled with kitchen amenities perfect for cooking family meals. We were a short drive to all major beaches and a convenient location to shops, grocery stores, restaurants and to visit other attractions on the island. The pool and outdoor space was great for the kids to play. 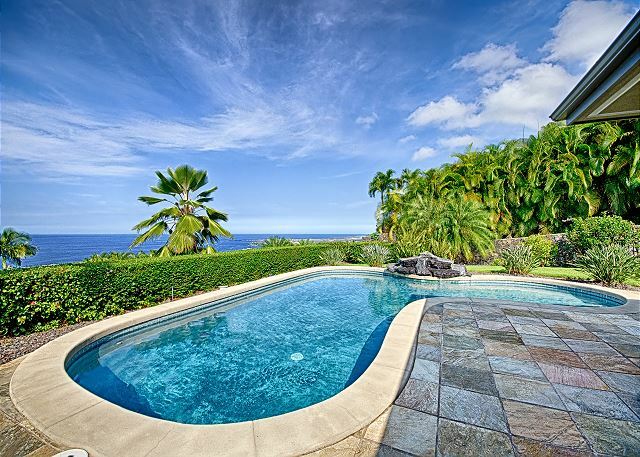 Our family really enjoyed this home and its amenities making our week on the Big Island a memorable family vacation. Aloha and thank you for your wonderful review. We hope that you visit again and let us help you plan your next trip! Remember, returning guests receive a 10% discount on reservations booked directly through Boundless Hawaii. beautiful well appointed home overlooking the pacific ocean. i believe this is our 6th stay at this home and it was as good as the first one. they have everything you need and then some. we can't wait to go back! My wife and I introduced the Big Island to friends--two other couples--and Hale Aikane was the perfect base of operations. 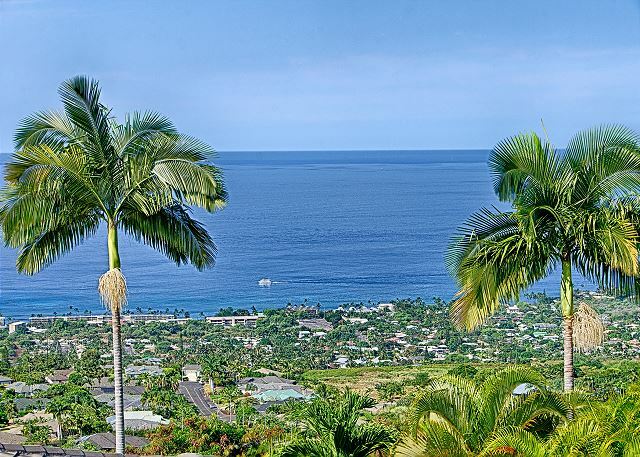 It's located near the good restaurants in Kailua-Kona just down the hill. Lovely accommodations with many amenities included. View of sunsets was spectacular. Nice small pool too. The best Kona rental we ever stayed in! 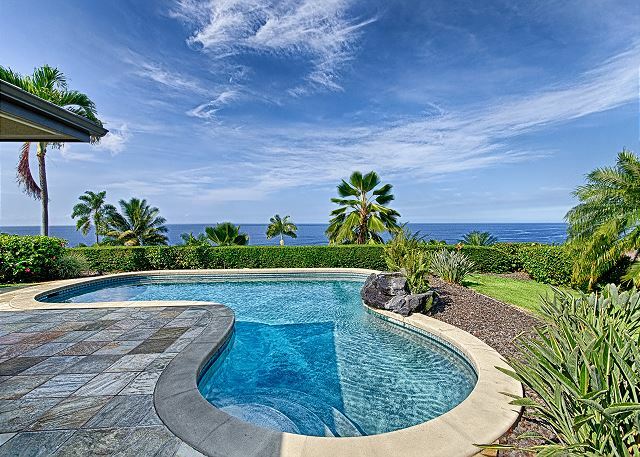 We have been vacationing in Kona for many, many years and this is a stunning home at a wonderful location. The home gives you a warm feeling of a real home, but is not cluttered in a way to make you feel you just stepped into someone else's house. The owners created the PERFECT vacation rental balance. 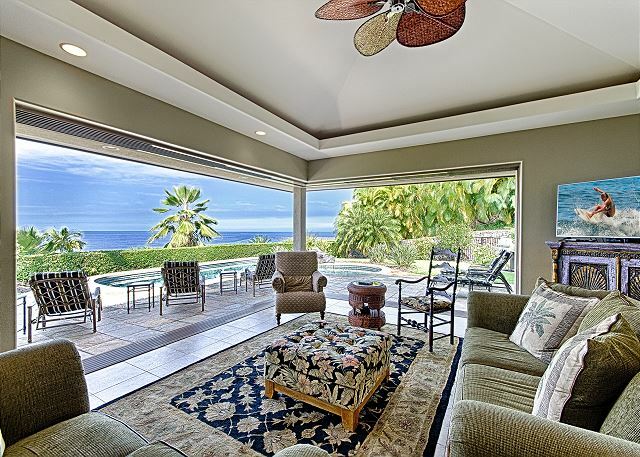 The house is very spacious and beautifully decorated, and the large living room sliding doors create this wonderful indoor/outdoor living Hawaii is famous for. The views are absolutely stunning, the neighborhood is very quiet, and the elevation gives you cool breezes. 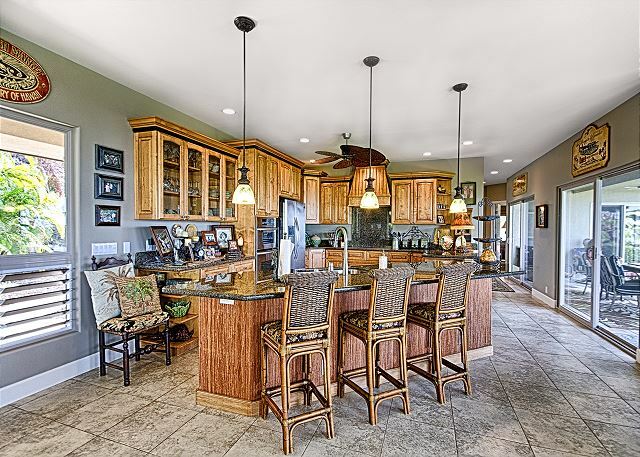 The home has a large and well appointed kitchen that great for entertaining and making meals at home. The location of the home gives you that perfect secluded feel, but you are only 8 to 10 minutes from town. Getting to town, or any of the Kona beaches is super easy and fast. You simply zip down Lako street, which is a very new road, and you can reach almost any destination in minutes. This is one of the best hill side rentals we have ever stayed in. I will absolutely stay in this rental again when we come back to the big island! Wonderful house, great location and amenities! We had a great time staying at this house. The property is located in a really nice and quiet neighborhood. The pool was clean and well maintained. It took us a while to figure out where the keypad was to enter the house but apart from that no issues. I would suggest the management company to also email the lock codes to the renters rather than just relying on the phone app which could be a problem. But overall we had a wonderful time and I highly recommend this property. 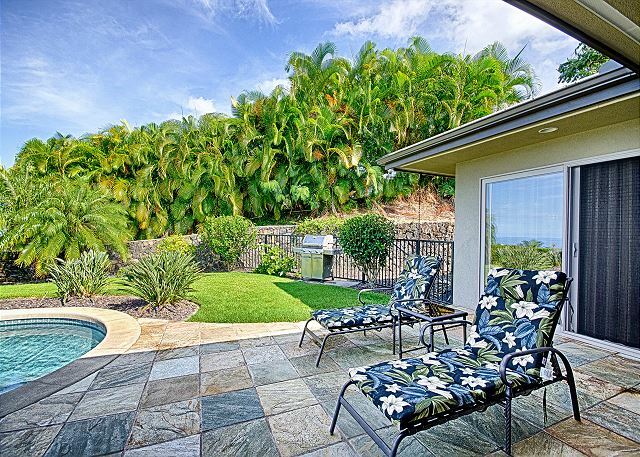 This is a beautiful home - one we will rent again when we return to the Kona area. The sliding patio doors opening up the living area to the pool was simply brilliant. A great place to relax. This home is at about 750 feet elevation, so the temperatures are a little cooler and the breezes better than at sea level. The home is in a quiet neighborhood with virtually no traffic, which is a plus. Lots of birds around the house, so it sounded like we were living in an aviary. The view is great from the back yard which also has some very pretty hibiscus and birds of paradise. There is no air conditioning but there are several ceiling fans to help move air in the home and they kept things comfortable. In addition, the massive sliding doors in the living room area are fantastic for opening up the area and enjoying the pool. The grounds are well-maintained and the home furnishings comfortable. The pool was nice and refreshing. The home access code was not made available in the phone app as indicated it would be. Had to call for the code. The garbage was not picked up and the toaster did not work. Boundless Hawaii corrected those with a phone call. The owner's van was purposely parked in the middle of the 2-car garage so that our rental car had to remain outside in the sun. The garage should be available for use. The living room TV had damaged inputs so the DVD player did not work. The Jacuzzi tub was not working and hasn't for some time. It should be functional. There were a couple of kitchen drawers that need repair. The gutter downspouts were plugged and overflowed during a downpour. As I said, these were minor issues and they didn't adversely impact our stay. Regardless, they should be addressed for future renters. All in all, we enjoyed our stay at Hale Aikane very much and would certainly stay there again in the future. This was the second time we have stayed at this home, and if available, would stay every time we visit Kona!! Hale Aikane is just a delight! the most gorgeous home in a perfect area, with everything you could possibly need for a wonderful vacation! Very well appointed home high on a hill overlooking the ocean. Everything needed to have a relaxed stay was provided. Open air living with constant breeze to always be comfortable. With its' own pool very nice for several couples or a family. The photos due this property justice. It truly is a fine home. One level with a large open floor plan and those windows that open up are just stunning. This property is located high above the freeway and crowd noise of 'downtown'. The upscale neighborhood is so quiet and the views are spectacular. If you are looking for a place to just relax, enjoy the pool and listen to the birds sing...you found it. 2 rather large bedrooms and third more modest sized. Comfortable beds with good linens. Lots of towels for the pool and a well appointed kitchen. They've thought of everything. Our vacation included three couples (one w/small child) for 5 days. The house was perfect and suited to all of our needs. It is well equipped for cooking (lots of dishes, cookware, utensils) and spending time by the pool. Each couple had their own bedroom and bathroom. 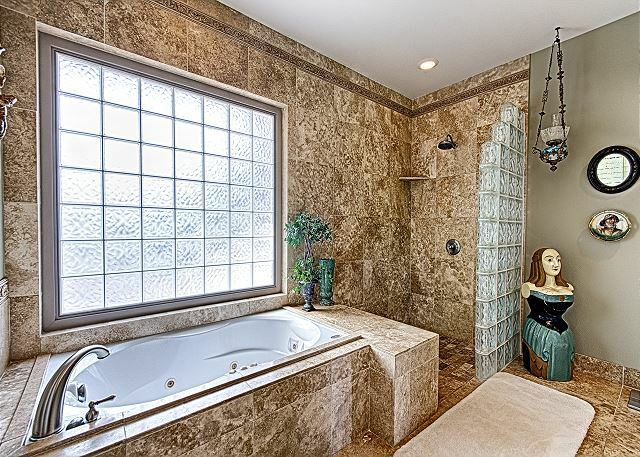 It was very clean and wonderfully decorated. It was great to have a washer/dryer - pack light! All in all these things were minor compared to all the fabulous attributes of the house! this is our 5th time renting this home. it is so comfortable and appointed nicely. Wonderful location away from traffic and notice. House has everything you could need and more. Decorated bueatifully. Home is exactly as described in the photos. The owners have provided everything you could need for a comfortable stay just a short 10 minute drive away from the tourism madness of town. Spacious kitchen was lacking for nothing and the management company was extremely responsive to one minor detail we requested. We particularly appreciated the coolers, beach chairs and beach towels to complete our vacation on the Big Island. This home is loved by its owner. Everything you could ever want! The photos and descriptions don't do this home justice. The living areas are huge, the kitchen is beautiful and high quality, and FULLY stocked. There was everything we needed all organized so beautifully. From simple dishes and cutlery to wine glasses and every spice you could need, an entire cupboard of small appliances including a popcorn maker, coffee grinder, knife sharpener and much more. There were ziplock bags and wrap as well as a couple coolers to take our lunch with us. The house was spotless and so inviting. During 10 nights over Christmas and New Years, aside from some butterflies and dragonflies that would visit us daily by the pool, I didn’t see one bug. We would open up the amazing pocket doors in the morning and enjoy the indoor-outdoor living by the pool. The pool was warm yet refreshing. The view from this house is stunning. Ocean for miles and a panoramic view of the town below, total privacy! We watched 10 different fireworks shows from the house on New Years Eve that were being set off throughout the town below, a private show! 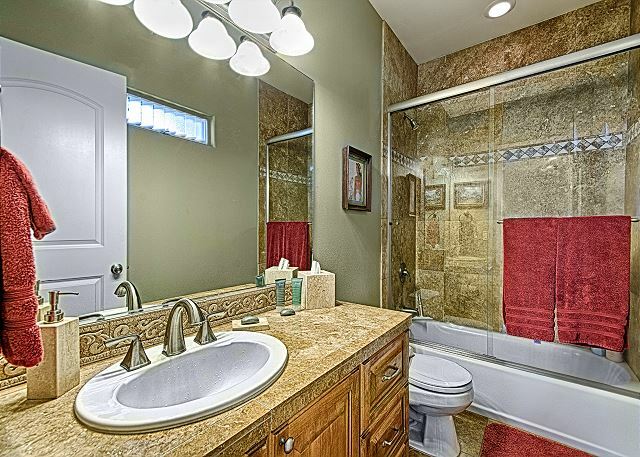 There are three bedrooms and bathrooms. There were only four of us so plenty of room but there would have easily been room for a third couple with everyone having their own space, comfy bed and bathroom. The weather was perfect every day of our trip and we enjoyed exploring the island all day with our packed coolers of lunch and returning home in time to BBQ or make dinner in the fully stocked kitchen. 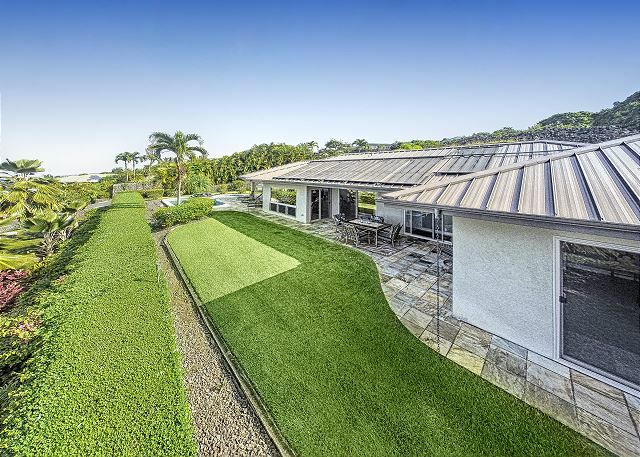 Sunsets overlooking the ocean from this location are stunning and the placement of the home on the property is perfect for cooling breezes in the evening. We never felt the least bit hot or cold in this home, just perfect. Best, Most Relaxing, Luxurious Retreat Ever! Best kept secret! What more can I say? We will return again and again unless too many people discover this little piece of paradise and book it before we can. No desire to leave to explore the Island. We just looked forward to each day, each meal, each evening rest. The only way to recharge, even though we are living in retirement. Felt like I was at home without any responsibilities or worries.